Am I able to display to the customers the number of tickets remaining? 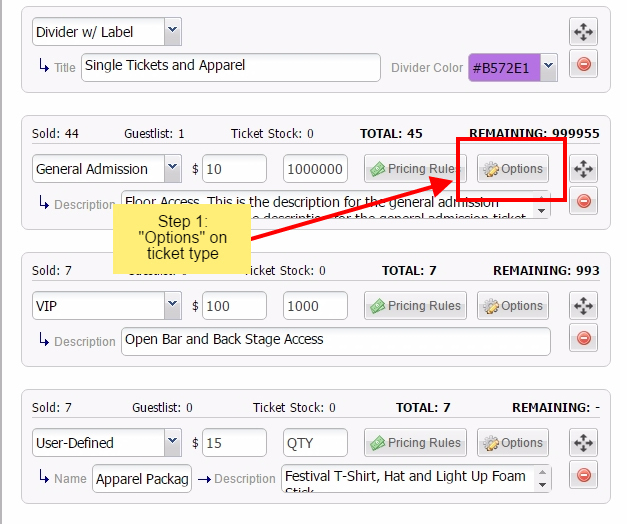 /Creating, Editing and Managing Events /Am I able to display to the customers the number of tickets remaining? First, click on the “Edit” button to edit the event you would like to modify. Then scroll down to the “Ticket Pricing and Options” section and click the “Options” button for the ticket type you want to show remaining tickets. 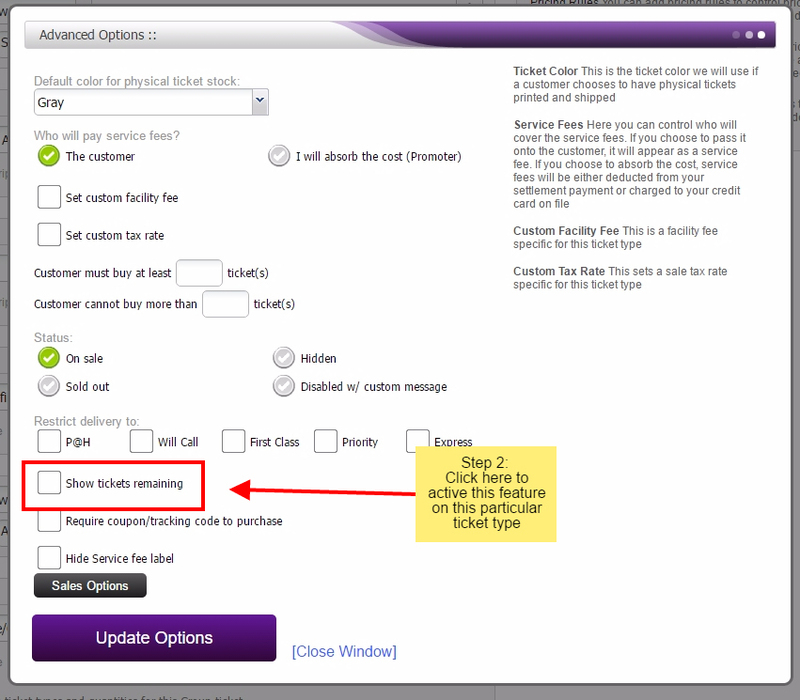 After this you will check mark the option to “Show tickets remaining”. Make sure you press “Update Options” after making your selections and then Post/Update the event.